Caldera’s full suite of RIP and workflow products for graphic arts printers now supports the Océ Colorado 1640, The first ever large format printer to feature Canon’s revolutionary UVgel technology. Designed specifically for the Océ Colorado 1640, Caldera’s driver passed print and stress tests with flying colours and is available for immediate download. Print houses adopting the new engine can therefore be completely confident that their Caldera RIP will enable them to produce stunning, colour-faithful graphics with the speed and efficiency they have come to expect from their software. Canon’s first UVgel wide format printer is perfectly suited for the production of high volume, high quality roll-to-roll graphics up to 1.62m (64”) wide. Combining the Colorado with Caldera’s established, world-respected RIP suite means that print shops can meet short turnaround times with excellent accuracy across a wide range of applications. Canon’s UVgel technology ensures durable, high quality prints while conserving the ink’s versatility. The ink’s potential can be fully realized when coupled with V11.1’s powerful colour control. 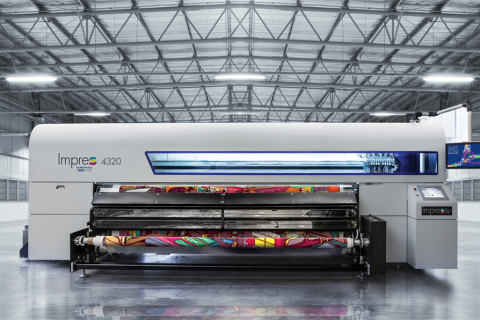 Users can achieve smooth gradients and benefit from extended spot colour handling with the Océ Colorado 1640, seamlessly integrated by the RIP’s creative ink customization capabilities. Caldera’s ability to deliver accurate colour will ensure users to reach the best possible quality from the machine and its new UV-gel ink technology. Caldera’s ink economy options will also help print houses manage costs in a global landscape of rising prices for raw materials. The latest versions of the Caldera V11.1 suite and its family, including GrandRIP+ and VisualRIP+, all contain features designed to optimize productivity and take advantage of the performance quality offered by the Canon range. 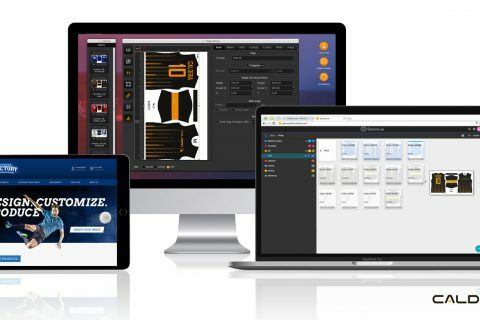 “Caldera users can be totally confident that combining their existing V11 software with Canon’s new platform will ensure they are maximizing their investment,” says Arnaud Fabre, Product Manager for RIP Solutions, Caldera. The driver is now available to download for Caldera and Canon users and can be integrated into suitable workflows immediately.